Class IV Laser Therapy is a pain free way to promote healing and put an end to your pain! Laser is actually an acronym for Light Amplification by Stimulated Emmision of Radiation which is probably why we just stick with laser. Lasers have been utilized for years, surgically and cosmetically. Laser Therapy is a non-invasive, safe, and effective treatment where light is used to relieve pain, reduce inflammation, and promote wound healing and soft tissue repair. 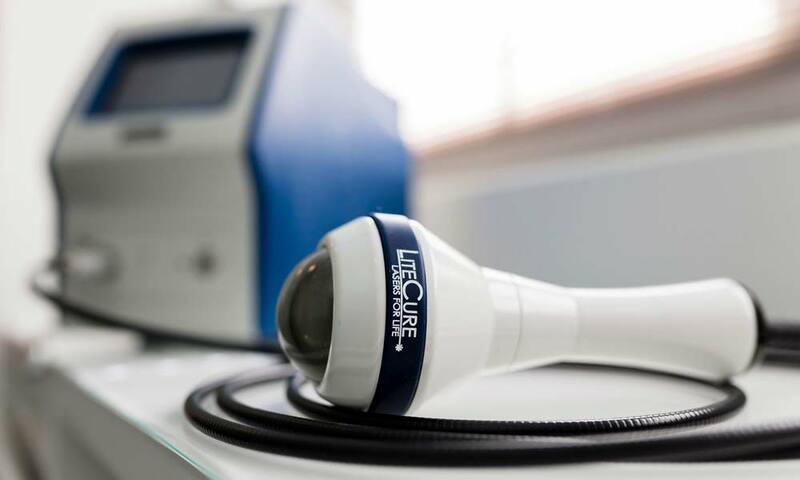 Most therapy lasers on the market today have a power range from 5mw to 500mw, making them a cold laser. 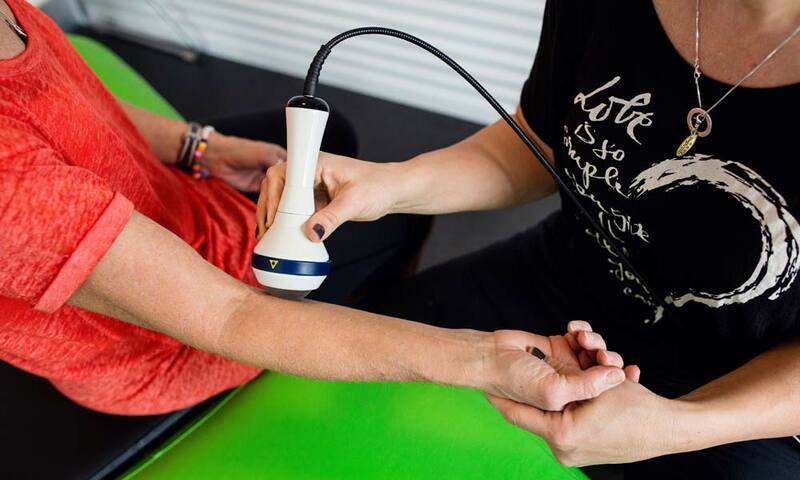 Our laser will emit a power range from 1000mw to 10,000mw, making this a high-power heat and deep tissue laser that can put an end to your pain! Laser therapy is a pain free treatment device. You may feel a soothing warmth over the treatment area. In most cases some immediate relief is noticed. However, in some cases your pain may be worse 12-24 hours following treatment due to the activation of the healing process. This pain is rare and most consistently reported in chronic conditions but is a normal occurrence. Usually relief is felt after the initial increase in pain in these circumstances. The deep tissue therapy lasers work by flooding the tissues with photons, energizing the damaged cells and increasing circulation to the painful area. This produces a cascade of healing responses in your body, reducing inflammation, and thereby reducing or even eliminating your pain. Deep tissue Laser takes approximately 10 minutes to make an impact on the affected area. Generally with an acute condition 4-6 treatments can resolve your issue whereas a chronic condition usually takes 5-10 treatments. Yes. Class IV laser therapy has very few contraindications. The most dangerous aspect of Class IV laser therapy is damage to the eyes. However, safety glasses will be provided during treatment which will illiminate this risk. Other contraindications are direct contact over a pacemaker, fetus, cancerous lesion, or growth plates which would all be avoided during treatment. Also, Class IV laser therapy is safe over surgical hardware such as metal plates and screws where few other modalities offer this.